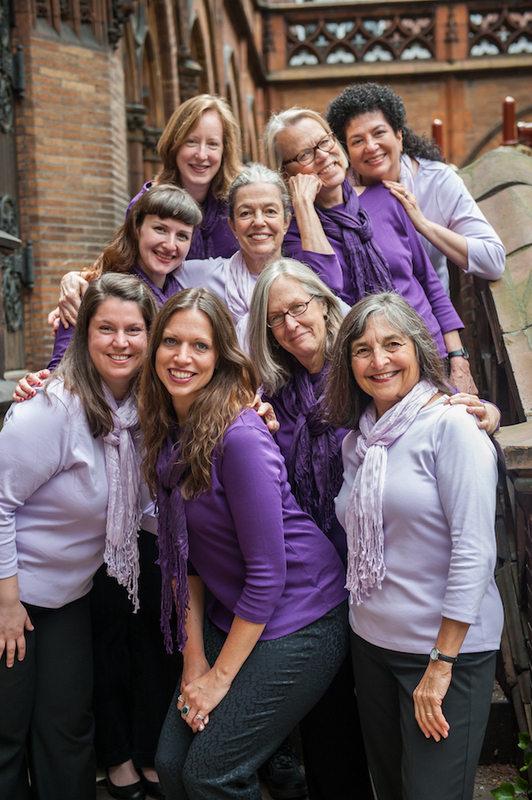 This New York City not-for-profit choir of some sixty women representing three generations, is bound together by the rigor and enduring magic of group singing. By championing music of every form and tradition, we strive to enrich and inspire our diverse communities. Most of us had inspiring chorus/choir teachers in high school and college. But then we graduated, with nowhere to go to sing but the car or the shower. In 2005, the SoHarmoniums Choir began with a mere 6 singers, led by our conductor Elizabeth Nunez, and accompanied on piano by Michele Mestman. Today we are some 60 strong. But whatever the number, it’s all about musical rejoicing. We are a jolly group representing ages from early 20’s to early 80’s. Jolly indeed, but once we start singing, serious in the joyful task of making glorious music together. What a wonderful thing! We rehearse most Thursday evenings in a SoHo loft. In addition to wonderful music, fellowship and laughter, wine and goodies are always served. We have December and May concerts, now at Merkin Hall just north of Lincoln Center. We celebrate the summer Solstice on June 21st with an outdoor mini concert. In 2012, we sang for a magical 25 minutes on the stage of Alice Tully Hall, to a packed audience and again at Alice Tully, in November, 2014, and this time, with a full orchestra. We celebrated our Carnegie Hall debut in 2015, bringing a cheering audience to its feet with our rousing rendition of My Soul's Been Anchored in the Lord. We were thrilled to return to Carnegie's Stage in 2016..